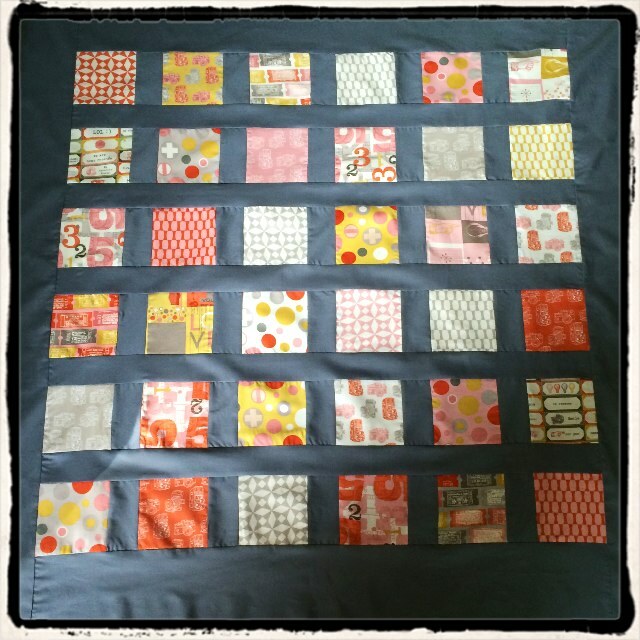 Adventures in Machine Piecing – is there room for me to sew? I am, by preference, a hand sewer and usually do all my piecing and quilting by hand. However, this all takes time; I know that my output is not as prolific as it could be, and limits the number of quilts I will ever be able to make. When I’m stitching a long seam together I sometimes think to myself, “Why not sew this by machine?” It would be so much quicker…” In theory this seems like a great idea, but when it comes to it, it doesn’t translate into reality, and I carry on sewing by hand. Not surprisingly, that put me off machine sewing. In retaliation, I became an avid handquilter, specialising in tiny little stitches and complicated designs. My piecing gets done by hand, and I do a fine line in needle turn applique. At present, I have one paper pieced project and two handquilting projects on the go. The paper piecing is going to take months to complete and the weather has been far too hot for handquilting in recent days. The other day, I came across a 2WENTY THR3E Moda charm pack and some plain grey fabric in my stash and had an urge to produce something quickly. So… out came the machine. And I pieced a simple quilt top in an afternoon. I was pleased with the finished piece but it did make me think about the process of stitching. I don’t sew in order to produce lots of quilts. I sew because I enjoy the sensuous feel of the fabric, the physical act of stitching and the rhythm of the needle. I sew because it helps me relax. I can pick up a piece of hand stitching in seconds, work on it for a while, and then put it down again. I can sew with a cat climbing on me if I have to. I can control my seams and make sure the points match. And if they don’t match, I can unpick the stitching fairly quickly. As part of my sewing ritual, I listen to audio books while I stitch (anything from Georgette Heyer to Charles Dickens with a good dose of Hilary Mantel in between). But a sewing machine can make a terrific noise! While piecing this quilt I had to keep replaying chunks of the book I couldn’t hear – I was literally losing the plot of Georgette Heyer’s The Unknown Ajax! Making this quilt top by machine was quick but I found that I didn’t enjoy the process. I ended up just wanting to get it finished as swiftly as possible. I didn’t want to stop until it was done, I wanted to get it finished so I could pack the machine up and put it away again. I put together a very easy design because I didn’t feel sufficiently confident to do any complex machine piecing. The result is a piece that doesn’t feel like a quilt I designed; it’s a piece put together for simplicity – which in itself is no bad thing. I find machine sewing really stressful. Thinking about quilting this one with lettering, which feels a bit counter intuitive but it’ll feel like it is mine then! Sounds exciting – it’s good to start out with big stitching, which looks really effective, and then as you get used to the technique you can play with your stitch size and vary it according to the project.